There is no doubt Aaron Sorkin is one of the most well recognized names in screenwriting. His work on The West Wing, Newsroom and films like The Social Network have established him as probably one of the best writers of dialog and creators of character working in film. Sorkin is also very generous when it comes to explaining his approach to writing and giving other writers advice as to how they can achieve similar success. 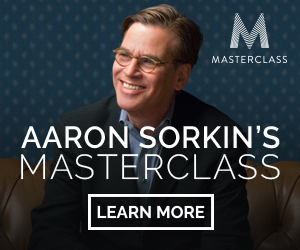 I recently attended Sorkin’s Masterclass, and I can tell you without a doubt that it was fairly mind blowing. It’s one thing to get advice from screenplay gurus who have never actually written a screenplay. It’s far different to get advice from someone writing at Sorkin’s level. Although there is no substitute for taking Sorkin’s Masterclass, what I have tried to do in this article is discuss some of the key concepts I got from the class as well as some freely available videos that discuss similar topics. According to Sorkin, and it’s no great surprise, the key to being a writer is simply to write. If you’re not writing, nothing else really matters. From there we move onto the topic of drama and the notion of intention. Intention meaning what each characters want. Every character should have a clear intention as well as a clear obstacle to that intention. This is how we learn about a character. The way that they deal with the obstacles to their goal. The same should be true of the antihero or antagonist, they should have a clear intention and obstacles to something in conflict with the protagonist. In the following video, Sorkin discusses the idea of intention, obstacles and how he uses them to form characters. Understanding the way an audience participates in your story is a key element in creating something compelling. You should always make the audience work and figure things out, otherwise they won’t fully engage with a story. Allow the audience to feel like they are a few steps ahead of you and then trick them. They will love it. That’s why we love Sherlock Holmes, because we can’t figure it out, but he can. Don’t ever tell an audience something it already knows! Audiences don’t need to know why as long as things feel right. The only person who really needs to know why things happen is the writer. It’s good to leave mystery and not explain everything as long as the audience is with you. It should always be very important that if the protagonist doesn’t get what they want, something really bad will happen. If it is not clear, it needs to be explained. In the case of Steve Jobs, why does not accomplishing his dream equate with death to him. Dialog in film is not the same as dialog in real life. There should always be a purpose in telling us what a character wants or how they are trying to overcome a goal. One of the key things we get while writing is feedback from friends and other writers. Sorkin suggests that when you get feedback you should only pay attention to the problem they are pointing out, not the solution. You should pay special attention to any time someone says they don’t believe in the obstacle or intention. This is something I used to refer to as mousetraps. Things that were set up but were still active in the story without resolution. Sorkin refers to them as balls in the air. In other words, there need to be multiple issues in the story that are going on and haven’t been resolved. If someone is late for a meeting and dramatically speeding down the road and then we cut to another scene of something else, that’s one ball in the air that we are thinking about. But now we are focused on something else. In the next scene a character is waiting outside hoping to find out if they got the raise they will need to pay for their Mom’s medical bill, then we cut to something else…all of these things are balls in the air that we want resolved and pull us into the story. 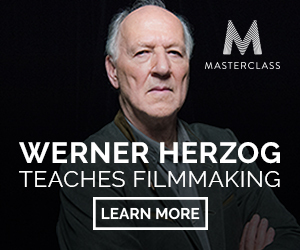 This information really is just the tip of the iceberg of what you will get with the Masterclass. If you are a screenwriter or have been wanting to jump into the world of screenwriting, I really can’t recommend it higher. I would put this at the very top of the screenwriting training I have taken online.